An NRA Pistol Instructor Training class begins where NRA Basic Instructor Training stops: with Lesson VI. Then NRA Pistol Instructor Training proceeds through eight lessons that teach you how to conduct the NRA Basic Pistol Shooting course step by step using the NRA Basic Pistol Shooting Course Outline and Lesson Plans, and how to teach pistol shooting on a basic level. NRA Pistol Instructor Training concludes with the Pistol Instructor Examination and other preliminaries to certification by the NRA. We help you learn you what you need to know for success as an NRA Pistol Instructor and we help you apply your knowledge, skills, and attitude to teaching your own classes successfully. Photographs on this page show just a few aspects of how we teach a typical NRA Pistol Instructor class. Two photographs give you a glimpse of our hands on instructional method. First we teach you how to coach a student firing the first shots. Then we supervise you as you do an actual coaching session with a student firing those first shots. We explain, demonstrate, and guide you through what you need as a first rate certified Pistol Instructor. Look for us in the photographs and you’ll notice that we are always visible but never intrusive. • Pistol and Minimum 50 rounds of ammo, Recommended to bring 150 rounds. 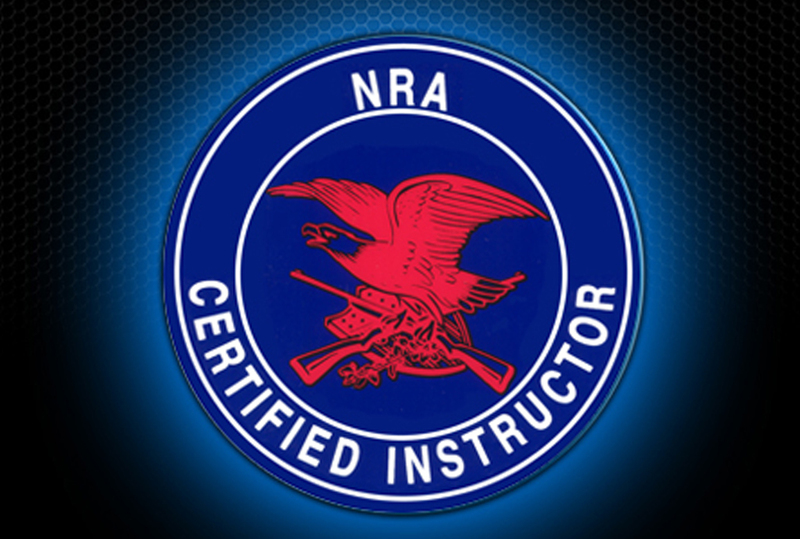 • NRA Pistol Instructor Qualification (You must be able to shoot 15 yards away within a 6″ Circle 16 out of 20 rounds must be within the 6″ circle) This is a pass or fail qualification!